When employers conduct a background check on your social profile, will you lose out? LinkedIn was made for recruiting. As per the survey, 93% of the potential recruiters are using LinkedIn to find prospective candidates. It is vital to have a flawless and completely filled out profile so recruiters will take you seriously. 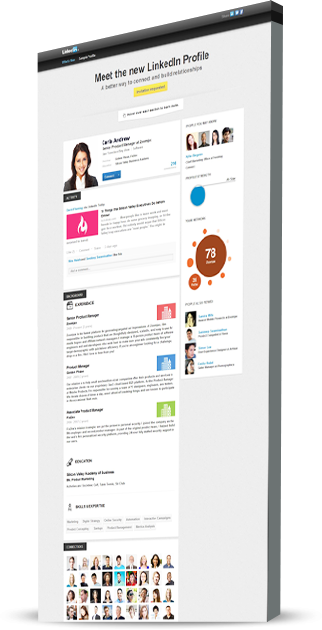 TeamResumePro will maximize your profile using advanced SEO and professional design that will get you discovered! Let us help you with writing your unique and effective profile!